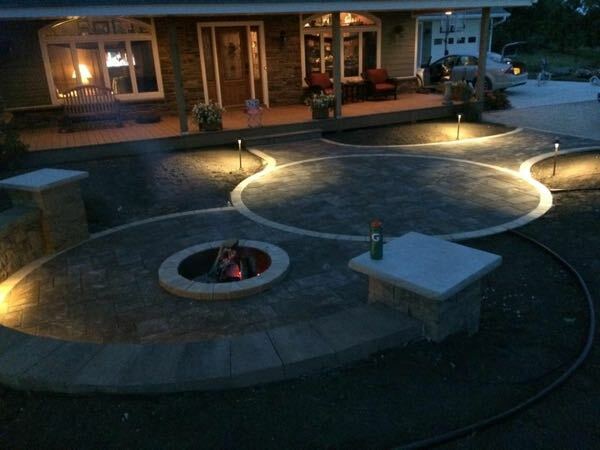 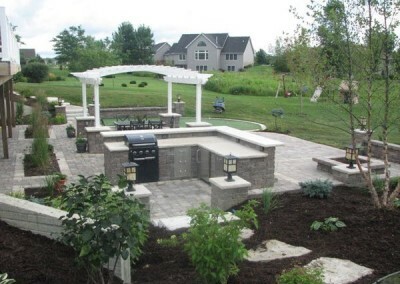 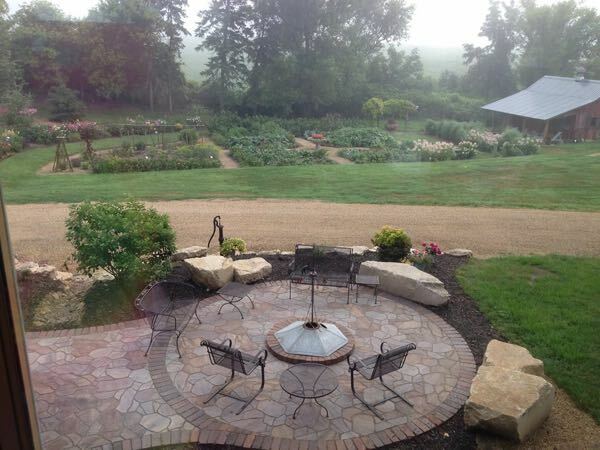 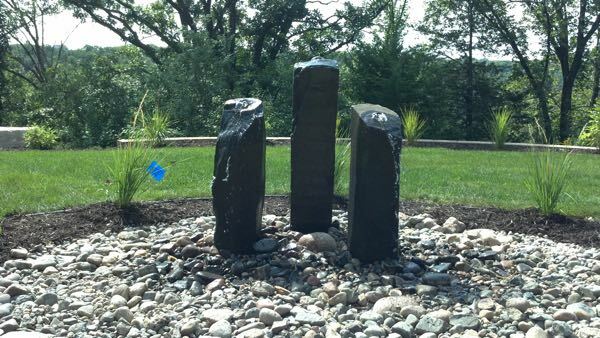 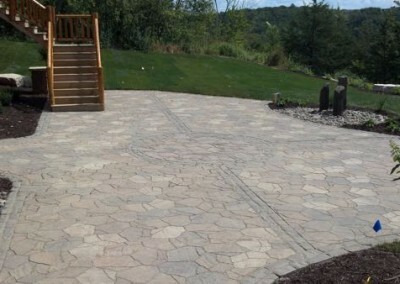 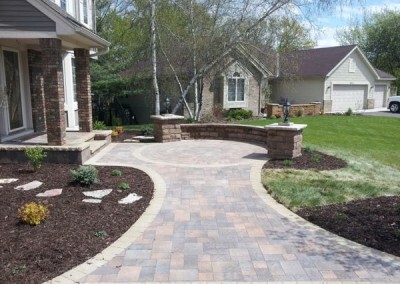 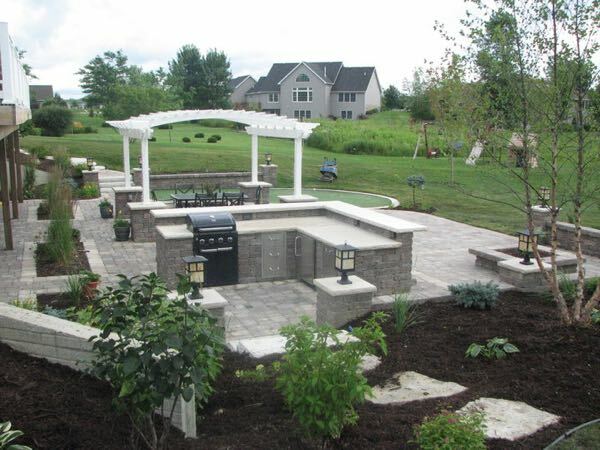 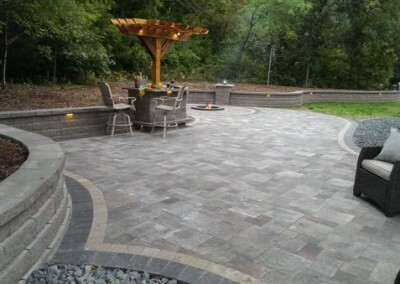 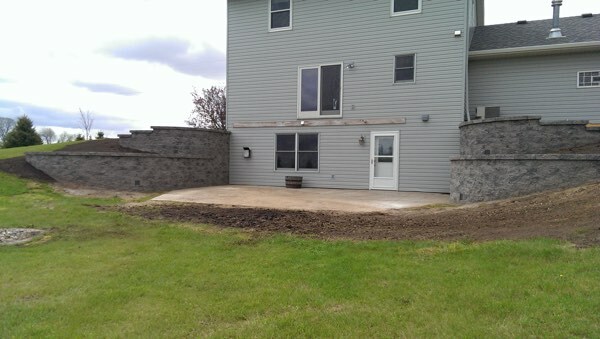 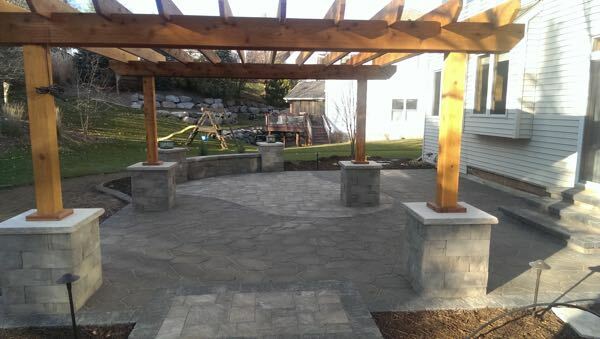 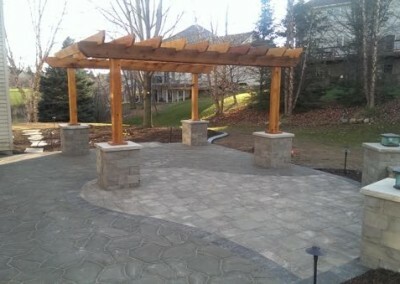 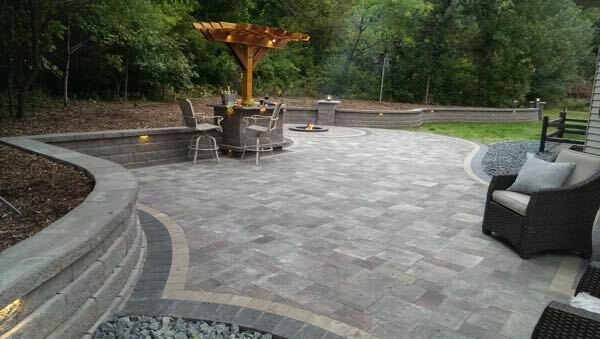 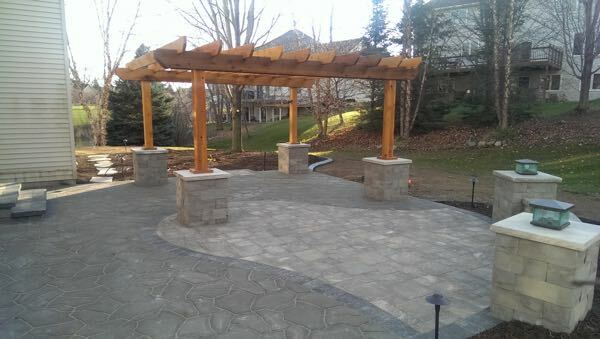 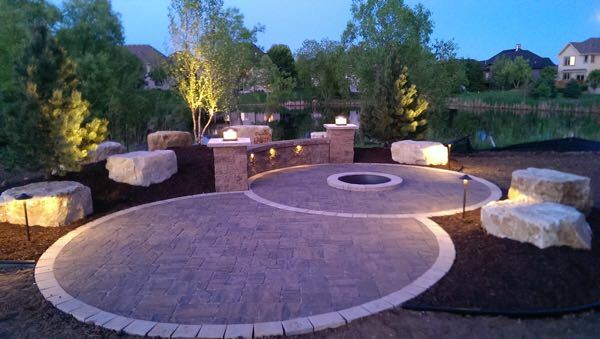 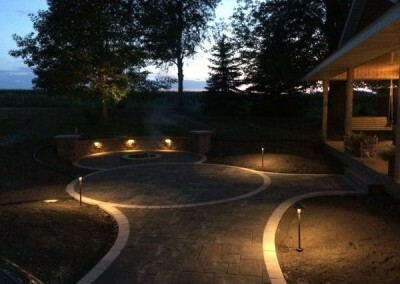 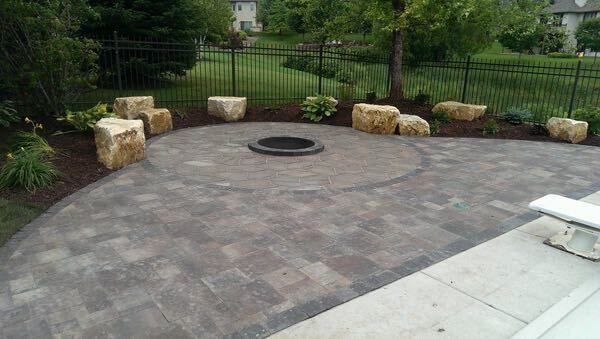 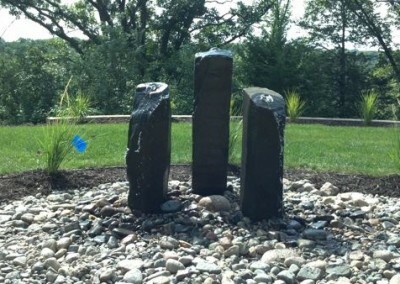 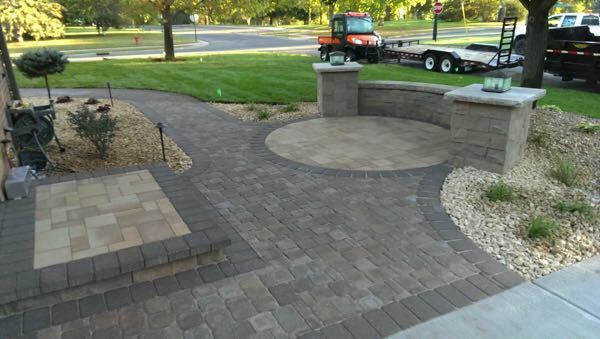 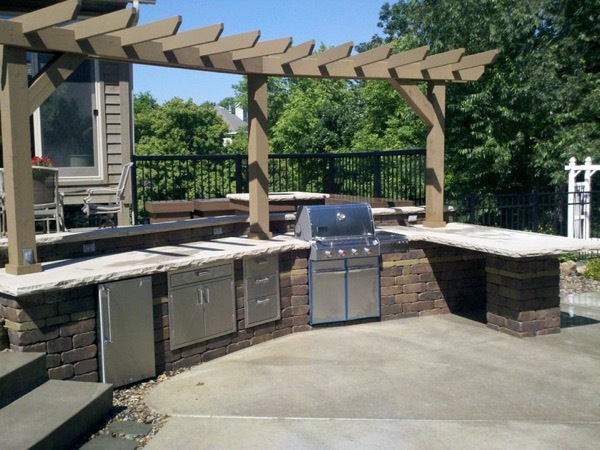 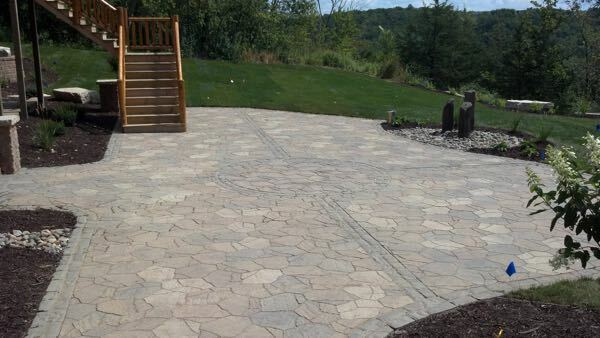 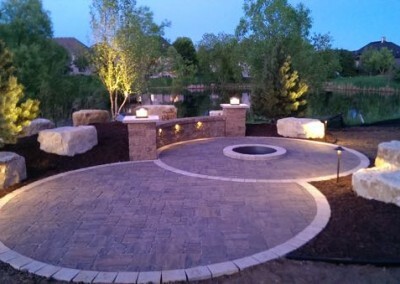 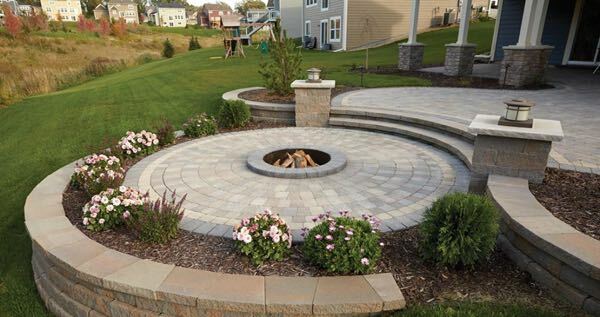 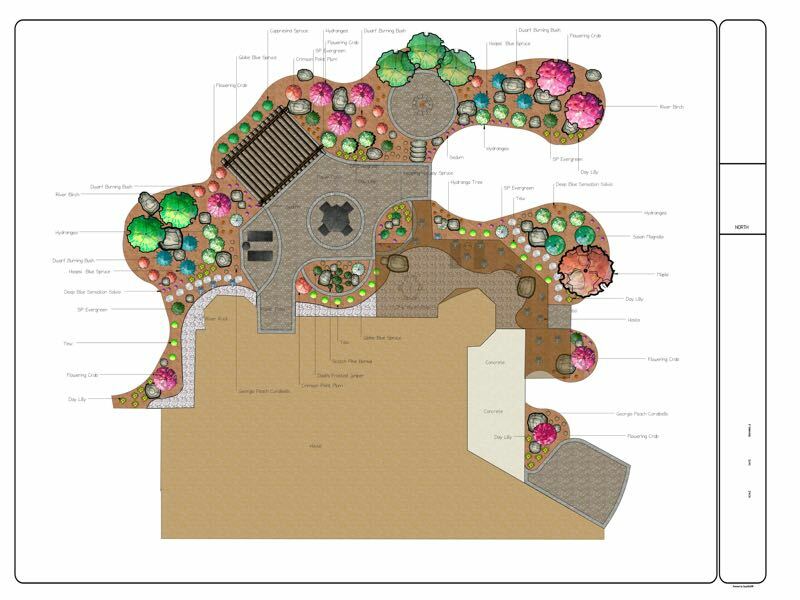 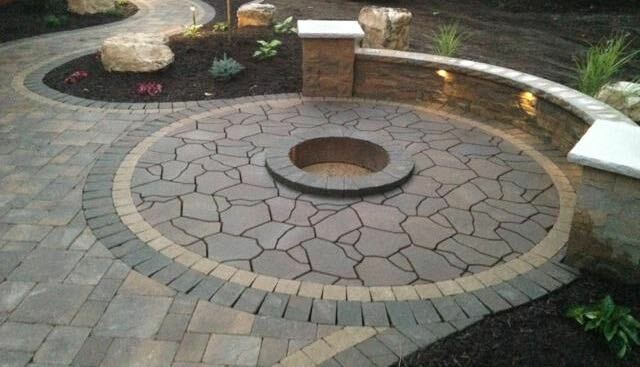 Whether you’re looking for paver walkway, driveway or paver patio with a fire pit, it all starts with a beautiful design created by our experienced team. 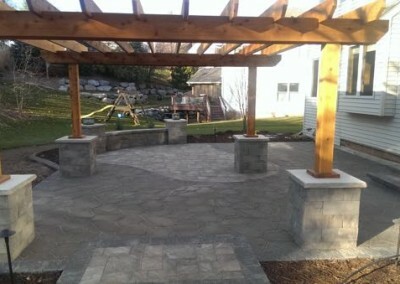 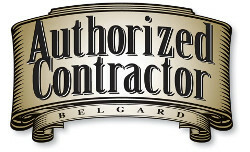 We will work with you and understand your needs and outdoor space to meets your needs. After a long winter there is nothing like getting out in the summer air and cook for your family and friends. 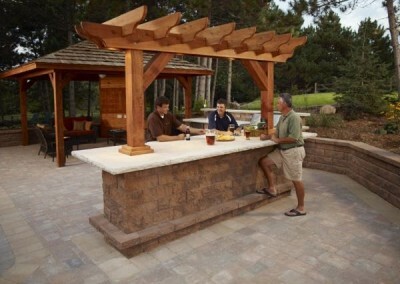 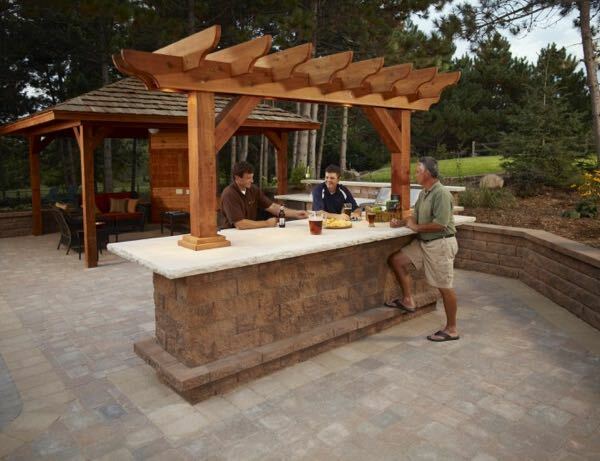 We create outdoor bars and kitchens so you can entertain guests and to extend your indoor space to the outdoors. 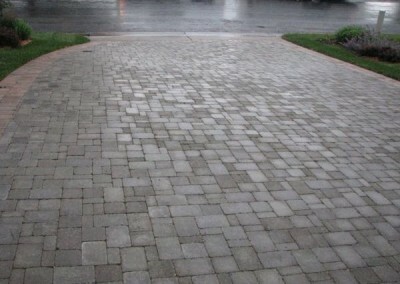 When your walkway and driveway are old and an eye soar it can really take away from the curb appeal of your house. 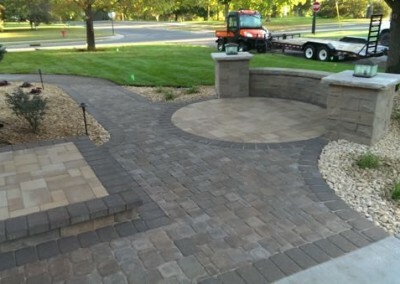 We provide both simple and complex designs to provide your home a unique look to bring back the curb appeal of your home. 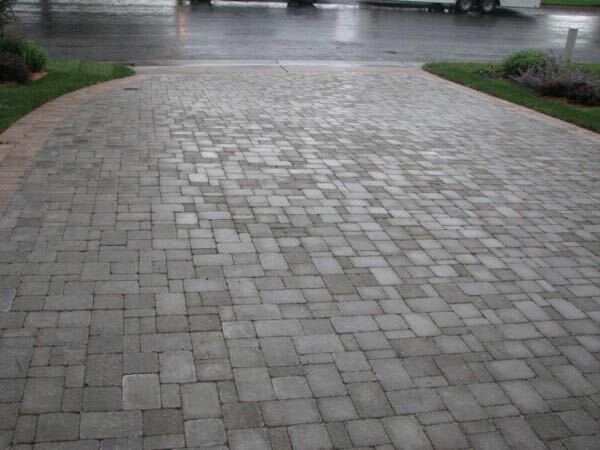 With a high quality walk way and driveway your home will standout and be the envy of the neighborhood. 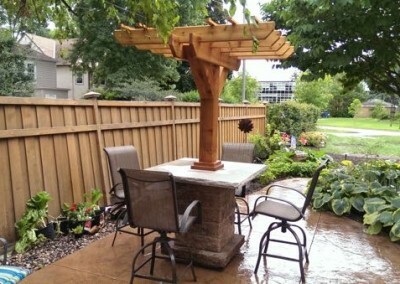 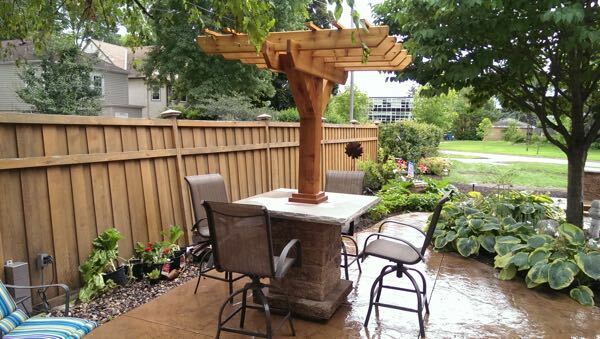 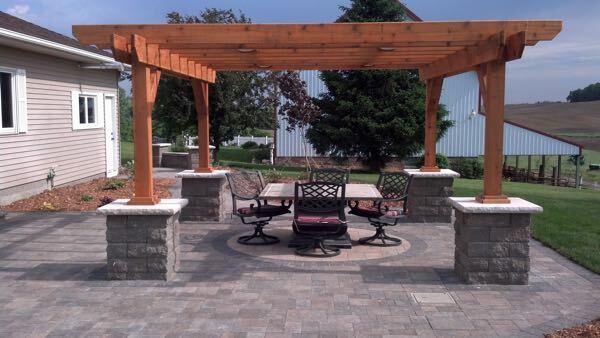 If you want that peaceful outdoor sanctuary in your own backyard adding an arbor or pergola can be the perfect touch. 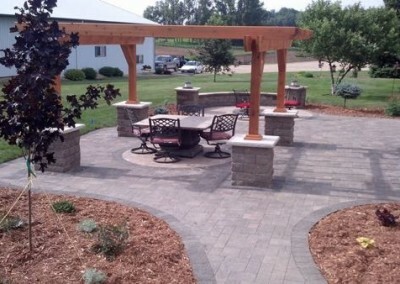 We will work with you to create the perfect design to create calm and relaxing space outdoors. 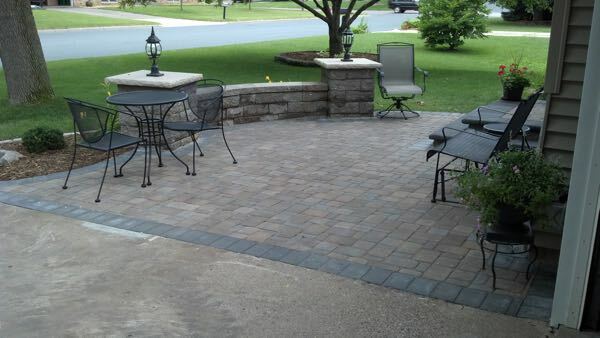 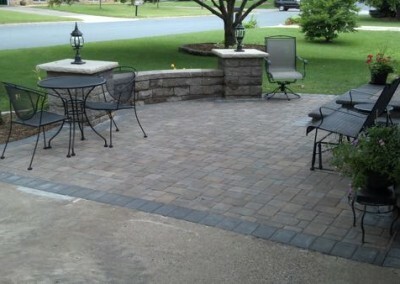 Paver patios are a great replacement for traditional wood decks and concrete patios. They are durable and maintenance-free. 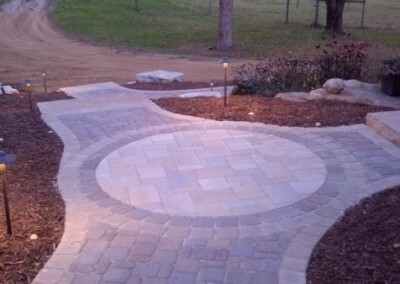 The endless design possibilities make it a popular choice. 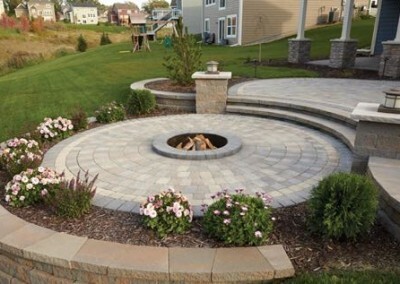 Nature’s Quest has installed many paver patios so we know how to make yours unique and provide you a relaxing retreat in your own yard. 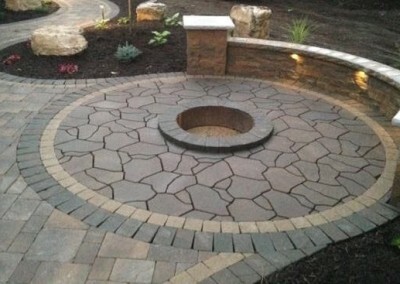 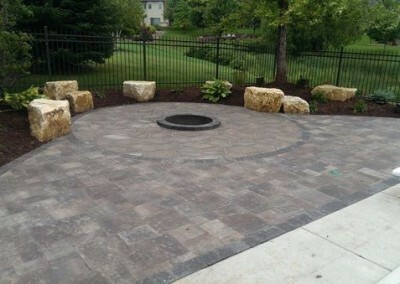 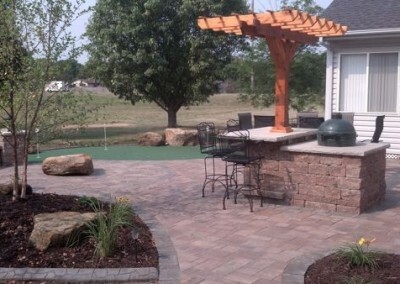 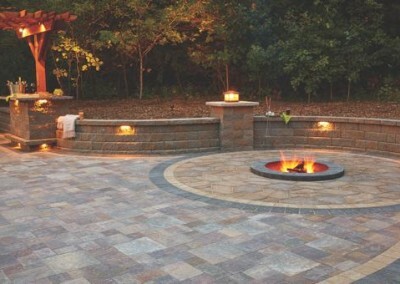 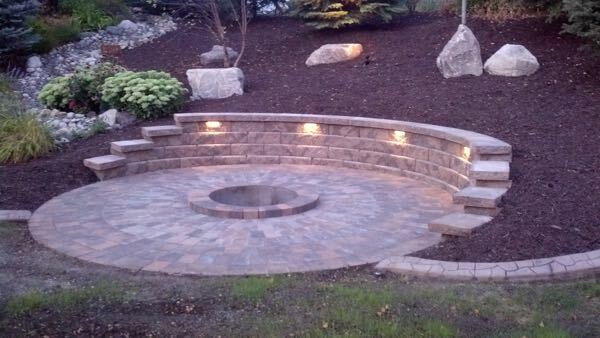 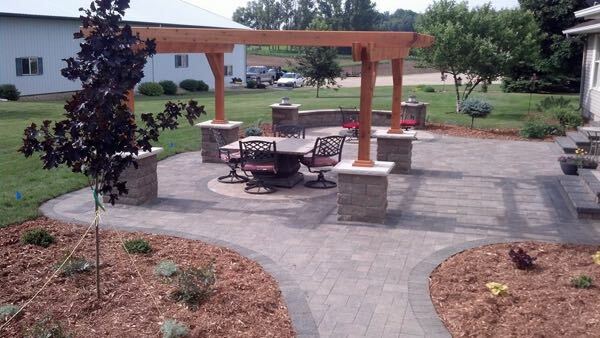 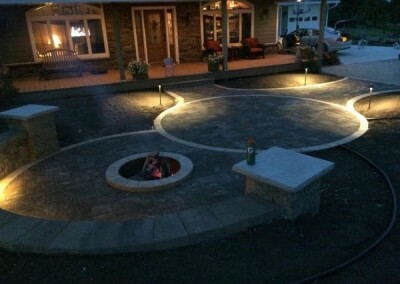 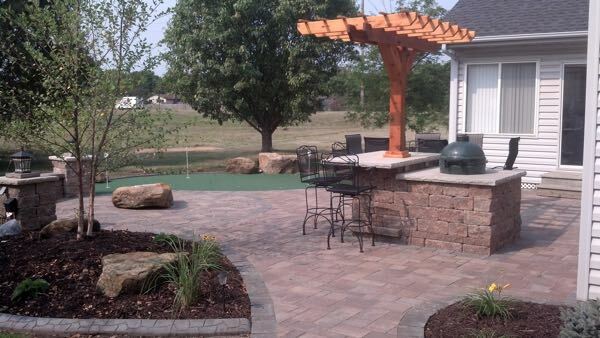 One thing to consider when creating your paver patio is adding a nice fire pit. 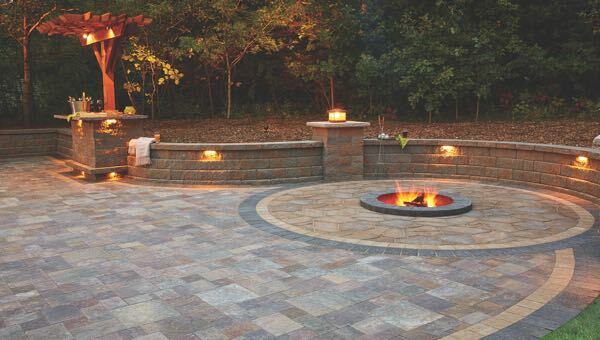 There is nothing more relaxing than you and your family sitting around a nice fire on a cool night. 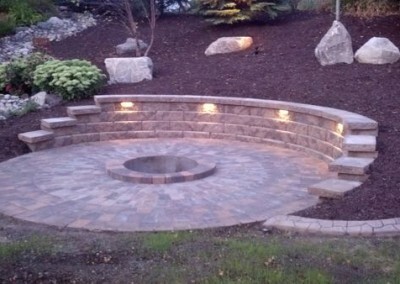 It is a great center piece for hosting neighbors or having your kids roast marshmallows. 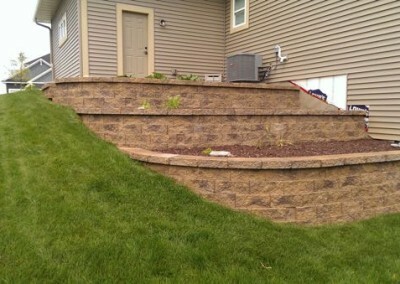 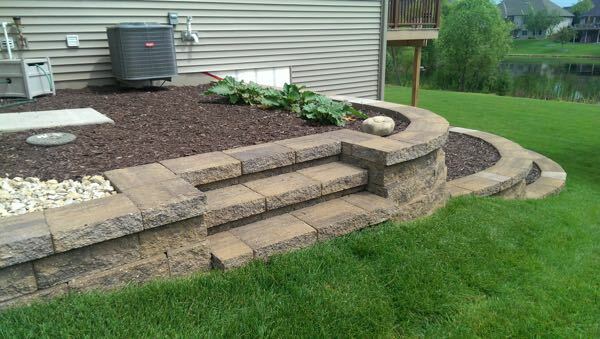 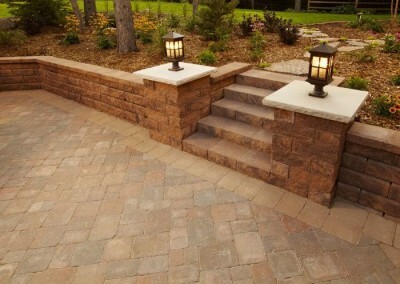 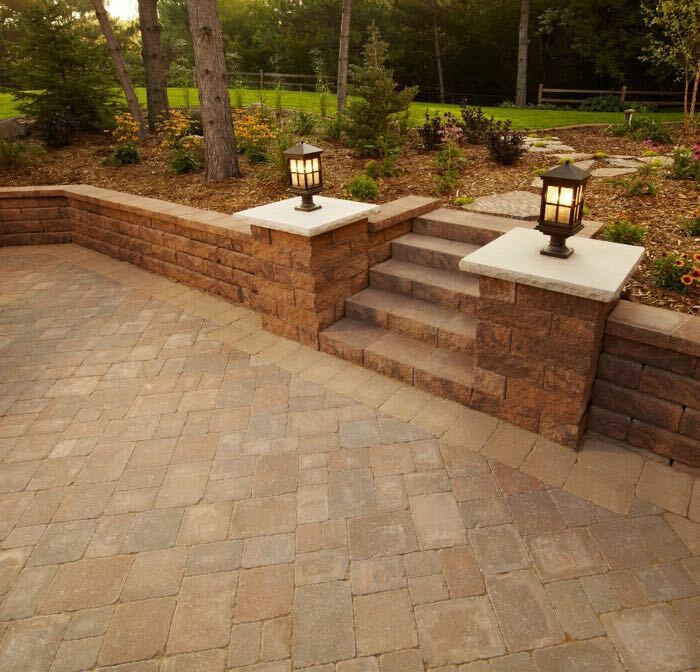 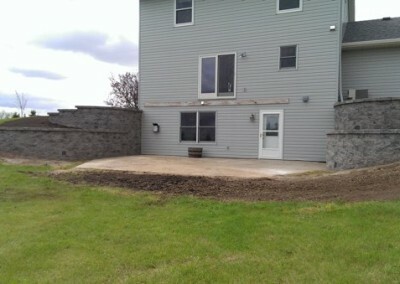 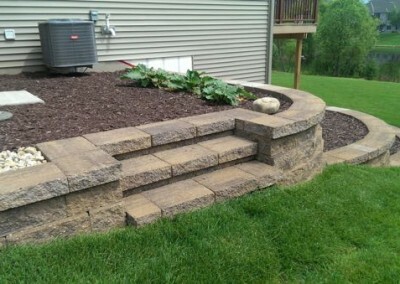 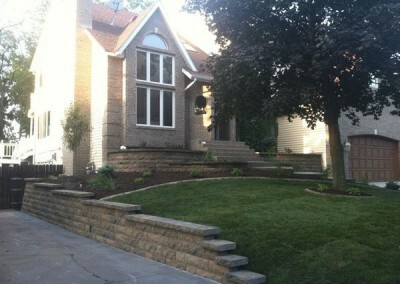 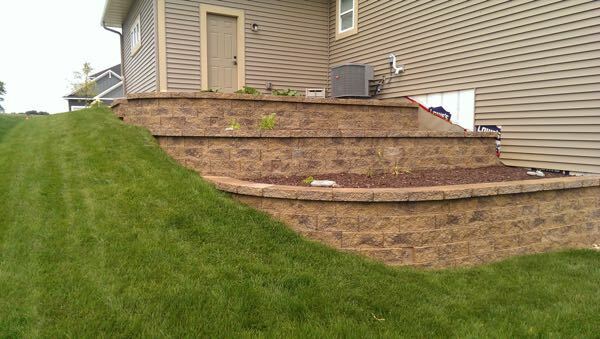 Retaining walls can be used to landscape or to prevent errosion. 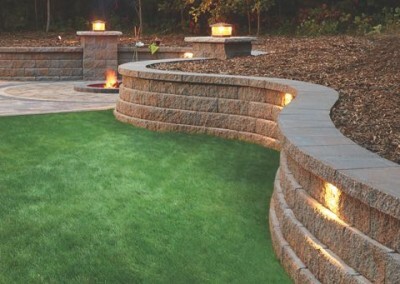 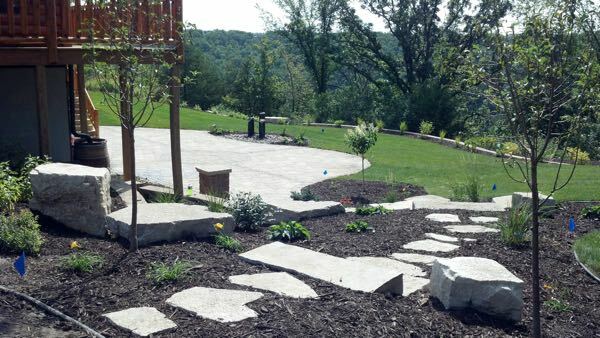 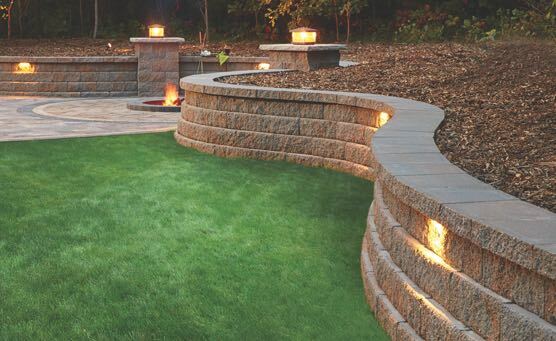 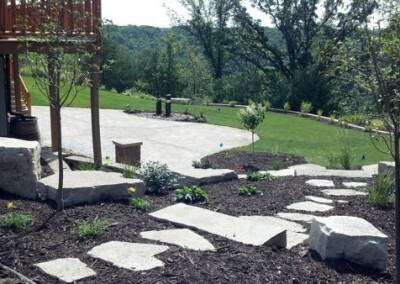 Nature’s Quest has installed all sizes of retaining walls for both commercial and residential landscapes. 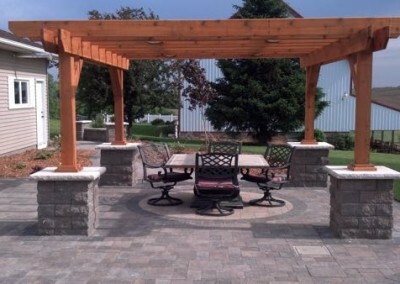 With our experience to create quality designs there are many ways to add decorative elements to your propriety to enhance your home. 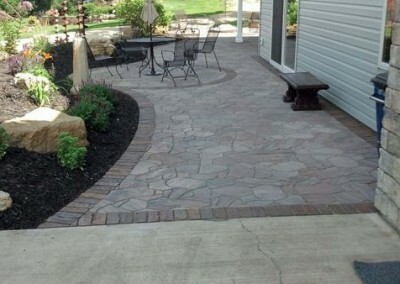 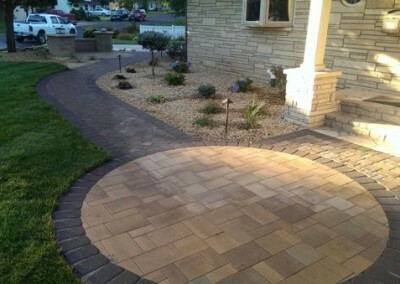 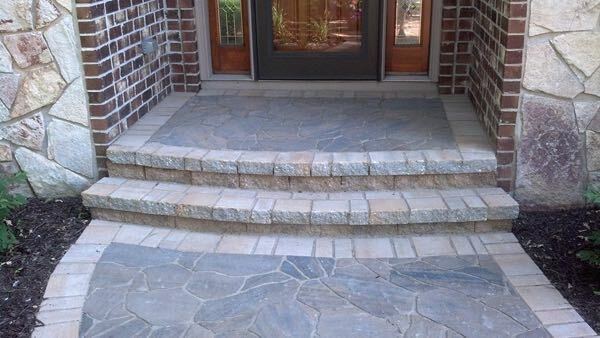 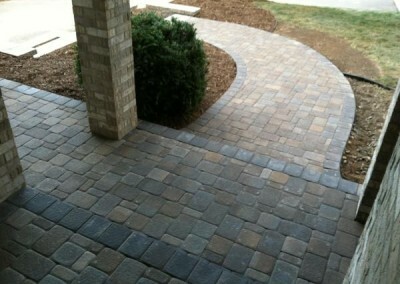 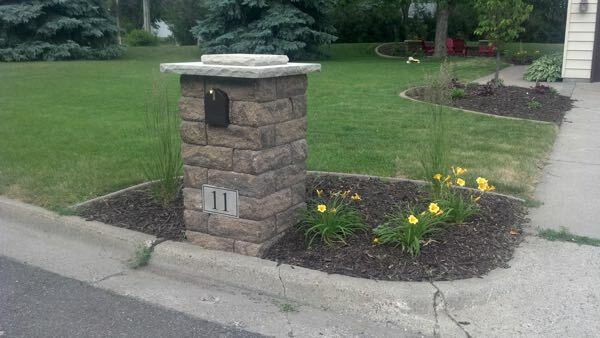 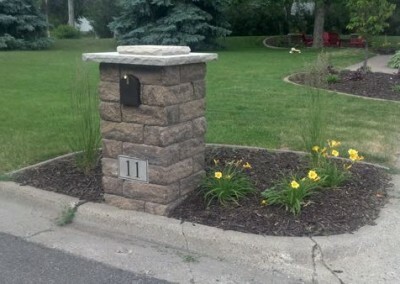 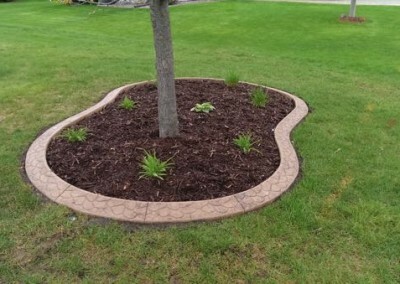 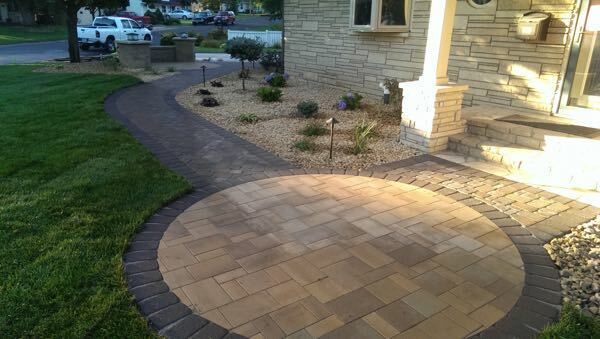 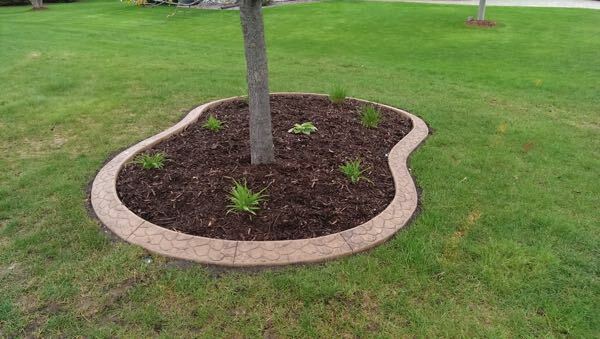 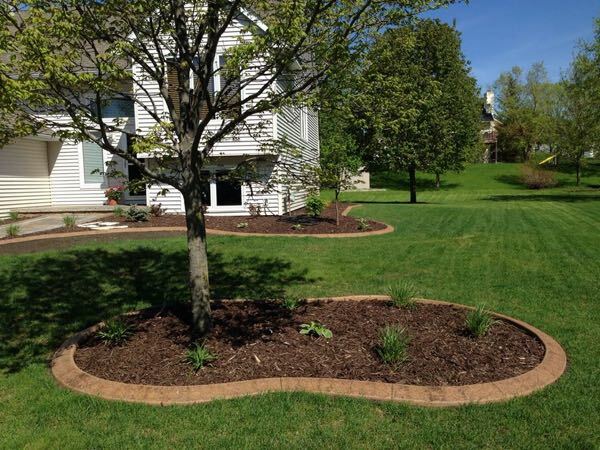 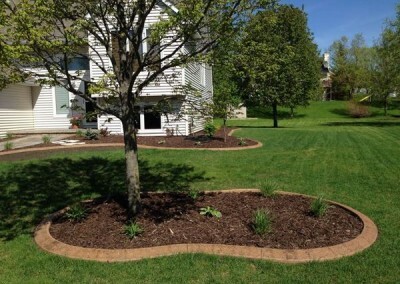 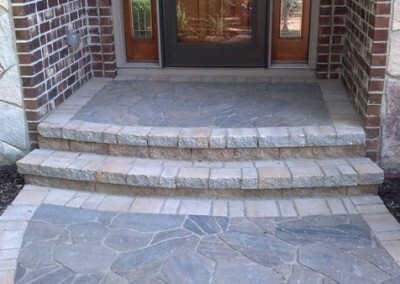 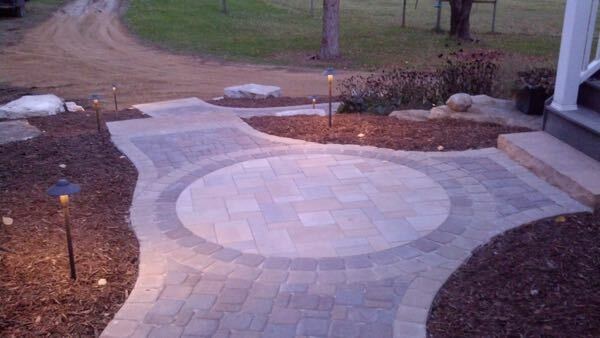 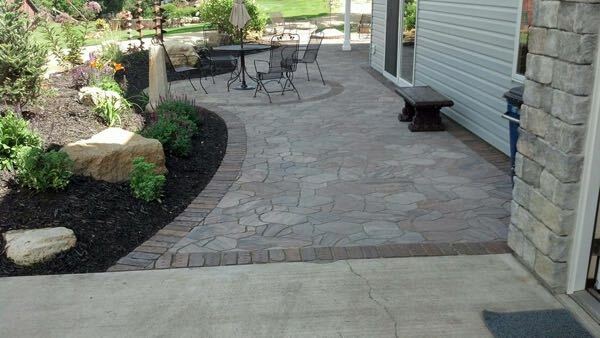 This includes adding different styles and colors of curbing to meet your needs. 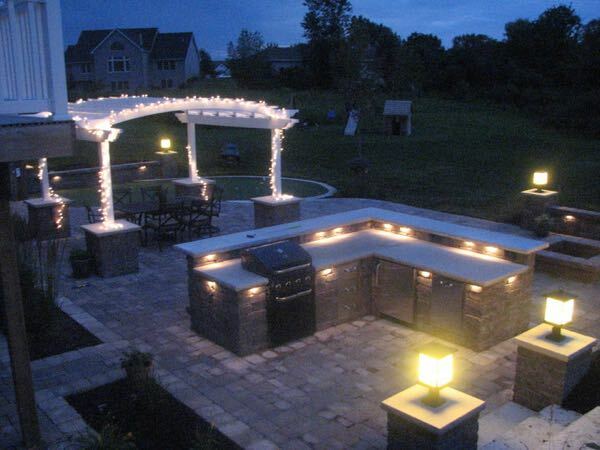 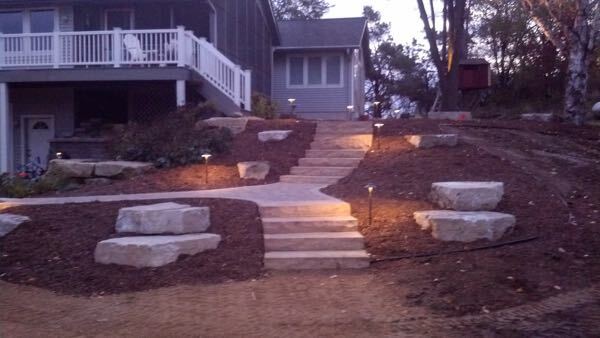 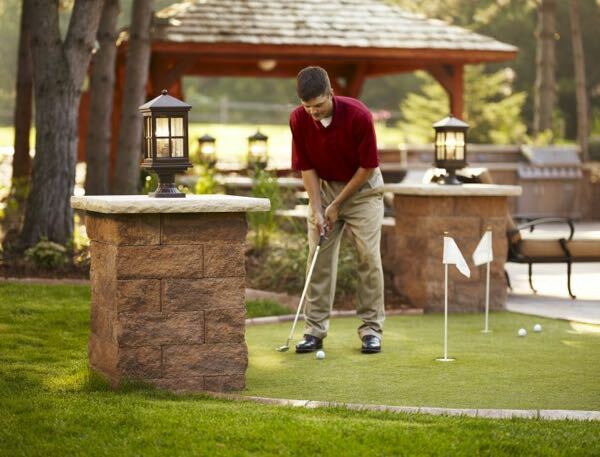 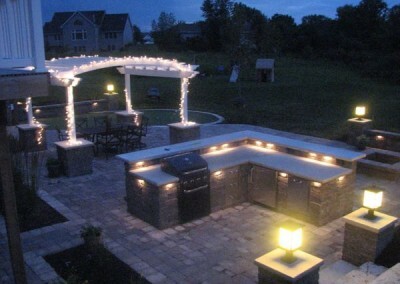 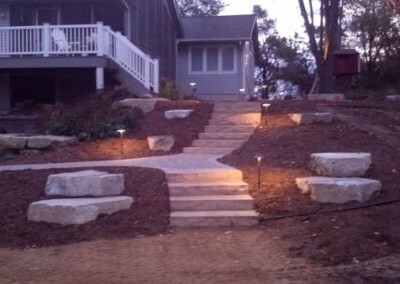 In the evening it is nice to have a little elegant lighting for your outdoor oasis.